Families use the refrigerator not only every day, but almost every hour taking things out and putting things in. 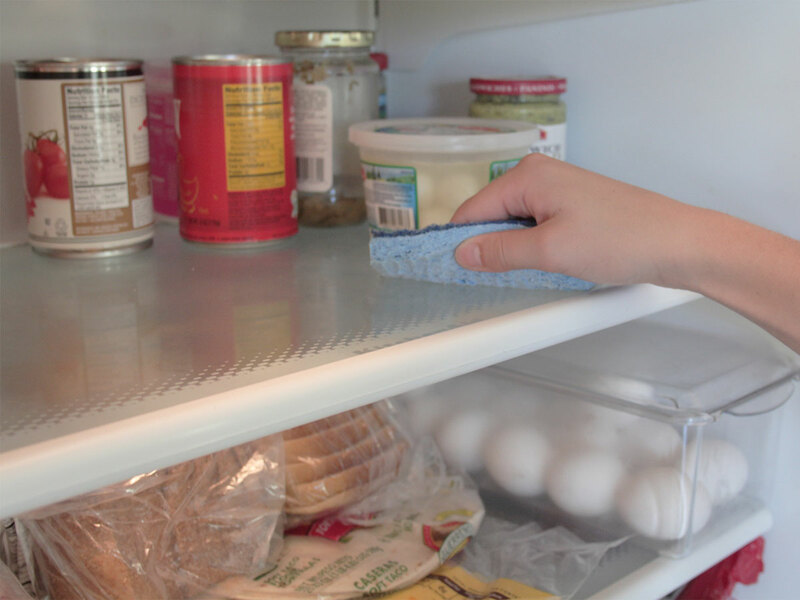 Over time, the little spills, drips, and messes start to build up on the shelves and drawers in the refrigerator. It is a good idea to take everything out of the refrigerator, and do a deep clean on all the shelves and drawers inside. This can help eliminate bad odors for little things that have spilled as well as any bacteria or germs that could be growing there as well. The first thing to do is remove all the food from the refrigerator. You can also remove the shelving and drawers or you can just keep those in place. With some hot and mild soap water, use a gentle scrubbing brush to go through the top and bottoms of the shelves, as well as the sides of the refrigerator. Use a lint free towel to make sure the inside is completely dry. Once you are done, move the food back into your refrigerator. Here is a quick video from eHow on how to do this.